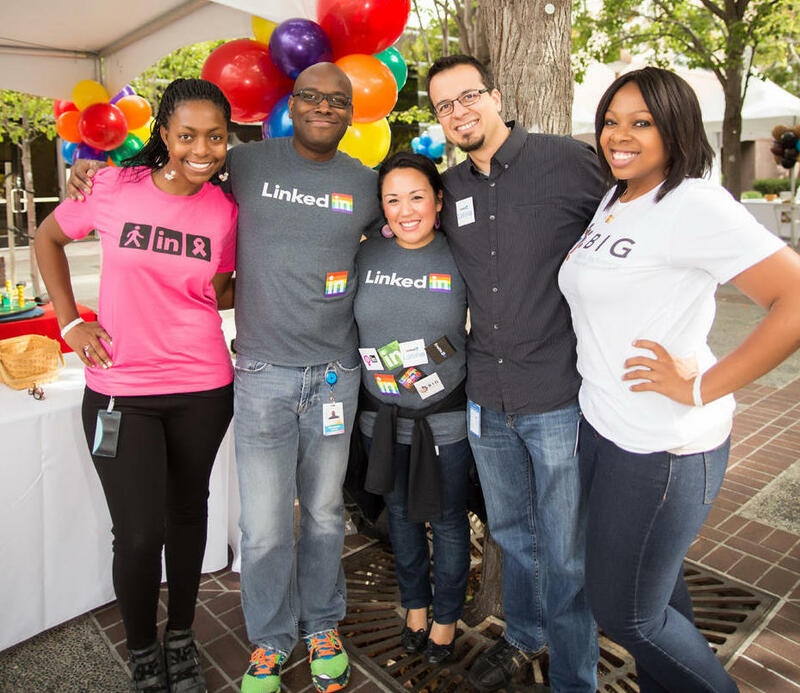 LinkedIn recognizes that diversity in our Talent Acquisition organization is vital to new ideas and innovation, as well as achieving our company vision of creating economic opportunity for all 3.3 billion members of the global workforce. We hope you'll join us at the Diversity Open House for Talent Acquisition professionals at our Mountain View headquarters. Brendan, the Global Head of Talent Acquisition at LinkedIn, is very passionate about social recruiting. His vision is to completely eliminate cold contacting from the recruiting process. He's been in recruiting for 15+ years and has had amazing experiences working in markets across the globe from coast to coast in the US, across EMEA and throughout APAC with incredible colleagues solving hard and meaningful problems. Brendan will discuss the importance of diversity in LinkedIn's 10 year Economic Graph vision: Digitally mapping the global economy to connect talent to opportunity at massive scale. Kathy's life's work is to help foster teams and organizations that value diversity and embrace inclusion. She excels at designing and implementing innovative Inclusion & Diversity strategies. Nothing motivates her more than helping others better understand how to be a steward of inclusion and champion for diversity in all its beautiful forms. As head of LinkedIn's global Diversity Recruiting team she partners with Talent Acquisition teams across all business units and geographies to equip and enable them to recruit outstanding diverse talent. Kathy will facilitate an employee panel discussion where they'll discuss diverse employee experiences in LinkedIn's TA Organization. Loni, Lead Technical Recruiter, has been at LinkedIn for almost 4 years. She's had some serious runway as she started as a Senior Recruiter for Product Ops and is now a Lead Recruiter on the engineering side. She really enjoys coaching and providing support to all levels of management with regards to developing a healthy hiring structure, compensation negotiation, employee retention, etc. Not only is Loni a high performer and has received awards, she has an infectious personality and is excited to share her experience. Stephen, Senior Manager of Executive Search Engineering, has been at LinkedIn for 2 years. He has a passion for finding great engineering talent and published an interesting post about finding purple squirrels called "Finding Sam the Elusive Engineer." Prior to LinkedIn, he was a Talent Partner at Apple and participated in the growth of the following teams: Apple Online, Product and Engineering, iTune Cards, POS systems, Mobile Apps, iOS Engineering and G&A. Stephen was promoted to Senior Manager after his 1st year at LinkedIn, has a good sense of humor and some interesting ideas around diversity. Heather, Technical Recruiting Coordinator, has extensive experience in multicultural environments having lived, studied, and worked abroad in Switzerland, Taiwan, China, as well as the U.S. Prior to joining LinkedIn, she worked in the field of International Education for over 6 years, facilitating international exchange on several levels. In her 3 years in Asia, she learned and solidified her advanced Mandarin Chinese language skills and gained unique experience and perspectives. She brings a unique perspective to TA at LinkedIn and is looking forward to sharing with the audience.